What is maXreduce Extreme Fat Burner and How Does it Work? The name says it all, maXreduce Extreme Fat Burner is a diet pill designed to help people burn body fat. The marketing material also says it can suppress the appetite and provide extra energy. 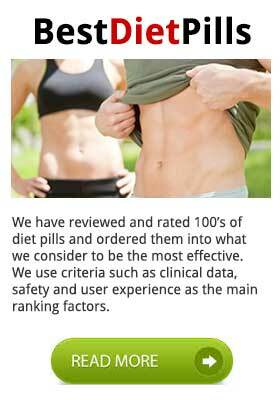 Fat burning, appetite suppression, and boosted energy levels are the main benefits promised for hundreds of other diet pills as well, but Advanta Supplements say their pill is “simply the most powerful diet pill available without a prescription”. It’s a big claim, but Advanta Supplements fail to explain what makes their product so special or to provide any proof it will work. Advanta Supplements say the formulation uses a patent pending proprietary blend of the most powerful weight loss ingredients ever seen on the market, but they fail to provide a complete ingredient profile or any inclusion rates. Guarana: A fruit extract that is often added to energy drinks and diet pills because it contains caffeine. Guarana releases its caffeine content at a slow rate that ensures longer-lasting benefits. The benefits associated with caffeine include extra energy, better concentration, appetite suppression, and fat burning. Theobromine: An ingredient obtained from the cacao plant. Theobromine is a stimulant, so it may be useful for providing extra energy, but it is not as powerful as caffeine. Magnolia bark: The results of a study conducted on obese women suggested magnolia bark may support weight loss when used in conjunction with phellodendron, but maXreduce Extreme Fat Burner does not contain this ingredient. Chromium picolinate: A popular diet pill ingredient that can help control insulin levels and may be useful for reducing cravings for sugary food. Banaba: A plant extract that might be capable of lowering blood sugar levels, but further study is needed. Guggulsterone: An ingredient made from the sap of an Indian tree. Some studies support the claims made for guggulsterone’s weight loss-enhancing abilities, but other studies suggest it does not work so further investigation is required. Usage Instructions – We were unable to find any information about the recommended dosage or any special usage instructions that may apply. Customer feedback is predominantly good, but some customers say they were given free or discounted product in exchange for their reviews. maXreduce say the ingredients used in the formulation are listed on the “Generally Recognized as Safe (GRAS) list published by the federal government”. Even is this is so, no inclusion rates are supplied and many ingredients that are normally considered safe may not be safe if the amount used is too high. maXreduce Extreme Fat Burner also state the supplement is not intended for people who are under 18 years of age, pregnant or nursing mothers, or anyone who is taking medication. People with existing health problems are advised to seek a doctor’s advice prior to commencing supplementation. Visitors to the manufacturer’s website or the official product website will see a price of $35. However, anyone who tries to make a purchase from either site is redirected to Amazon.com and the Amazon price is $25. According to the maXreduce Extreme Fat Burner website the product is backed by a 30 day guarantee that is only valid for purchases made via the site. The Advanta Supplements website says the guarantee is good for 60 days. However, some Amazon customers say they were refused a refund. This is not surprising when the company offer a guarantee that only applies to purchases made directly from sites that do not offer a shopping cart facility. maXreduce Extreme Fat Burner contains a few ingredients that may have the ability to provide the promised fat burning and appetite suppression (presuming an adequate inclusion rate) so the product cannot be dismissed entirely. There are many unknowns with this product though, and customers reviews are conflicting, so maXreduce Extreme Fat Burner is a product that is best suited for people who like a bit of a gamble. If you are looking for a serious fat burning product that is without hype then PhenQ is highly recommended. 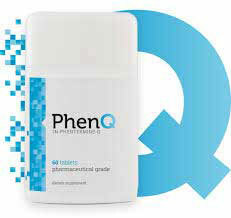 PhenQ is more than just a fat burner – it can also stop the production of new fat and also suppress appetite. It’s long money back guarantee and free worldwide shipping validated it’s credentials. Ultimate Garcinia Cambogia is a weight loss supplement designed to harness the considerable weight loss powers of the ingredient garcinia cambogia. 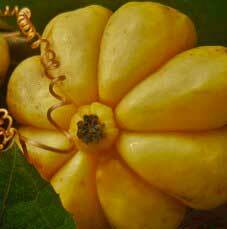 Garcinia cambogia is a pumpkin-like fruit native to South East Asia. It has a long history of use in Asian cuisine and is a traditional ingredient in many types of curry. These days though, whenever people hear the name garcinia cambogia they tend to attribute it to weight loss because it has become an increasingly common ingredient in weight loss formulations and is generally considered to be a Super Fruit because it possesses such a high nutritional value. Much of the present buzz surrounding the ingredient can be attributed to the US TV personality Dr. Oz Mehmet who gave the ingredient a glowing endorsement on one of his shows. Garcinia cambogia’s reputation for assisting weight loss is now well known to slimmers all around the world and the ingredients present popularity has resulted in it being incorporated into the blends of an ever growing number of weight loss products. Ultimate Garcinia Cambogia is one of these products. How Does Garcinia Cambogia Assist Weight Loss? Garcinia cambogia is a potent source of hydroxycitric acid (HCA) and this is what gives the super fruit its incredible fat-fighting powers. HCA is believed to be a natural appetite suppressant, and any compound that can assist dieters to cut down on their calorie intakes has obvious merits. Use of the compound is also believed to suppress the growth of fresh fat cells, but HCA does not have the power to burn off existing stores of body fat. The suppression of fat accumulation and curbing of hunger cravings are both benefits that can be attributed to garcinia cambogia, so the first two claims for the product may bear out. The manufacturers state that calcium is included to help the body process garcinia cambogia more smoothly. The ingredient is not known to be a difficult one for the body to process though, and it is unclear why or how the manufacturers feel calcium may help achieve the promised results, so its inclusion would appear to be pretty pointless. Chromium has been a popular ingredient in weight loss blends for many years. Interest in the ingredient first arose in the 1950, when tests conducted on lab rats showed some promising results. 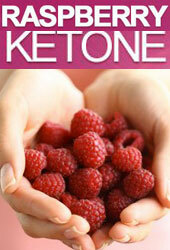 The tests indicated the ingredient may have the potential to increase glucose tolerance and speed up the metabolism. Some scientists have since argued that tests on rodents do not provide a sufficient insight into the possible benefits chromium supplementation may provide to humans. More recent studies, conducted in 2007, failed to find comparable results to the earlier tests and the use of chromium as a weight loss aid has been largely discredited by The National Union of Health. It could be argued that this brand does contain sufficient amounts of garcinia to rival the market leaders. The fact that chromium is so unlikely to live up its reputation probably mean this blend will ultimately fail to live up to most of the promises made for it. The blend may, however, prove useful to anyone who wishes to ensure they do not add any extra inches to their waist line, but only if garcinia cambogia is included in sufficient amount and it is unclear how much of the ingredient. 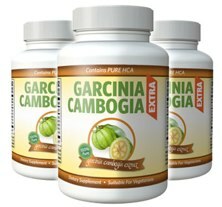 The brand that is our recommendation and the current market leader is Garcinia Extra. Garcinia extra contains the recommended daily dose of garcinia cambogia AND the recommended daily dose of raspberry ketone.